With the dream of a computer in every British home, Sir Clive Sinclair’s company created the ZX80 in 1980. Started in 1961, the electronics research company created the world’s first pocket calculator in 1971. It had a number of names and iterations before settling on the title Sinclair Research in 1981. The name seems most suitable, as Alfred Milgrom of Melbourne House recalls Sinclair as rather a mad scientist more interested in developing his inventions than marketing his products. Sinclair Research’s most successful home computer — the ZX Spectrum — was released in 1982. 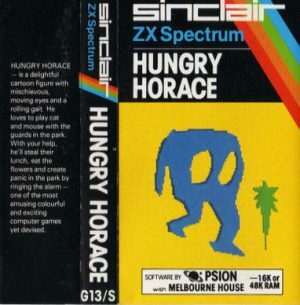 Whilst the development of hardware and other electronic inventions was Sinclair’s main focus, in the early 1980s they published a selection of software for their platforms. The range of software published by Sinclair Research was designed to entice buyers to their platforms before a mass market existed for home computing. Sir Clive did not want people feeling that it was not worth investing in a home computer for lack of interesting software. Software for the ZX81 includes a label on the spine indicating the type of product: G for games, E for Education, L for languages and B for Business. With the arrival of the Spectrum, an “S” was added to distinguish it from the ZX81 product. The software publishing side of Sinclair Research closed down at the beginning of 1985, possibly to fund to other areas. The Software and Peripheral catalog that shipped with the Spectrum +128 in 1986 did not contain any software published by Sinclair Research. While its heyday as the home of the Spectrum — Britain’s number one computer — is long past, Sinclair Research continue inventing with Sir Clive at the helm now designing electric cars, bikes, underwater vehicles and other forms of 21st century personal transport.